User Reactions to the New Features Coming in Premiere Pro CC 2018. 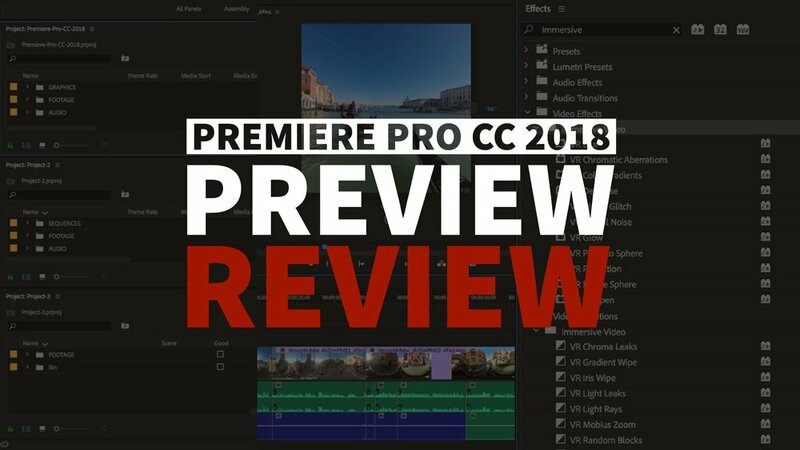 It's been exactly two weeks since the preview of Premiere Pro CC 2018. That's 14 days to think about the new features, and how they're going to impact our editing workflows. Let's see what Premiere Pro users have to say about them. Before reviewing the specific features, we'd like to point out the results of our very formal Twitter survey below. Assuming this is an accurate cross-section of Premiere Pro users, the new collaborative project workflows (Multiple Open Projects, Shared Projects, Project Locking) are the favored new features in the next version of Premiere Pro CC. Keep this in mind as we compare some of the user responses to these specific features. What's your favorite new feature coming in #PremierePro CC 2018? About time. Finally. At last. These were three most common responses from Premiere Pro users referring to Multiple Open Projects. It's obvious this feature transcends all levels of editing experience; YouTubers and Hollywood editors alike will be more efficiency of being able to open, import, and edit assets from multiple projects, all within a single master project. Editor and blogger, Scott Simmons, points out Multiple Open Projects will be available to ALL Premiere Pro CC users, not just Team or Enterprise customers. Nope. Open multiple projects in the regular version. Of course, the Project Locking aspect of Multiple Open Projects is only applicable when working alongside other editors. We assume Tweets, like the one below, come from users who collaborate with other editors on a shared storage network. With Project Locking, editors have the security of knowing projects will not be accidentally overwritten by other editors. And that is a great thing. Multiple open projects with lockable projects within a 'master' project! Do you even know how great that is?! Shared Projects is the term Adobe has given their Project Locking workflow in Premiere Pro CC. Simply put, it allows editors to make their project files writable or read-only to other users on a shared storage network. Unlike Team Projects, Shared Projects is available to all Premiere Pro CC users. Shared Projects is Adobe's take on a pre-existing feature in other NLEs. Team Projects currently overpowers Shared Projects in Google search results. Shared Projects requires shared network storage and more than one editor. We know that this feature in particular takes aim at "Hollywood editors." 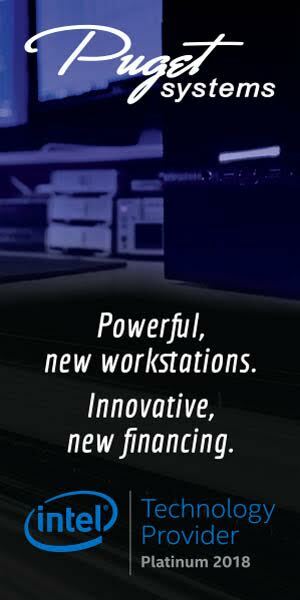 We heard it said many times from the Adobe stage at IBC 2017. Former and current Avid users accustomed to collaborating with a bin-locking workflow. Perhaps there isn't much talk about Shared Projects because it primarily appeals to a user-type that doesn't hop on the internet and start snappin' and grammin'. Not like the social people at p3 mediaworks. Perhaps the most useful piece of content featuring Shared Projects is the this video by LumaForge. Independent filmmaker, Valentina Vee, and in-house editor, Raibar Chener, demonstrate the power of Shared Projects collaboration using the LumaForge Jellyfish shared storage server. Valentina Vee and Raibar Chenar demonstrate the powerful new collaboration features in Adobe Premiere Pro CC on the LumaForge Jellyfish. Learn how to create and manage Shared Projects between multiple editors. For those who miss Avid's Bin Locking, this is the feature for you. Mettle SkyBox. We heard the name over and over and over from Adobe at IBC 2017. Adobe is making no effort to minimize their acquisition of Mettle Skybox. Premiere Pro CC 2018 will feature an expanded integration of Mettle's VR plugins, and will be called "Immersive Video Effects and Transitions." Our hats are off to Immersive Shooter for being one of the few, if not the only blog to focus on just the new Immersive updates in the next version of Premiere Pro CC. Responsive Design literally applies the concepts of responsive web design to video. It's a revolutionary approach to working with motion graphics! Using the new Responsive Design Time and Position tools, Editors will be able to make changes to their edits without having to manually adjust the timing or positioning of their graphics. Premiere Pro CC 2018 will include 8 new Label Colors, and they are arguable the most talked about feature of them all. Of course, there's a bit of a love-hate thing for the existing Label Colors in Premiere Pro, so some comments have a taste of sarcasm. Nevertheless, users are thrilled at the prospect of additional Label Colors in Premiere Pro. I'm unreasonably excited about more label colors. The response to the Premiere Pro CC 2018 preview appears to be less than previous versions, especially on Twitter. Then again, there's a decline in real conversations on Twitter in general. 99% of the Tweets about Premiere Pro CC 2018 are just Retweets of either Adobe's announcements or one of the summary posts by post-production blogs. We don't confuse lack of response with lack of excitement. Clicking into Adobe's social media posts on Twitter and Facebook reveals a large amount of comments from excited users. Now that you've seen what some of your peers think, what do YOU think about on the new features coming in Premiere Pro CC 2018? Any preliminary thoughts on how they might change your current editing or motion graphics workflows?